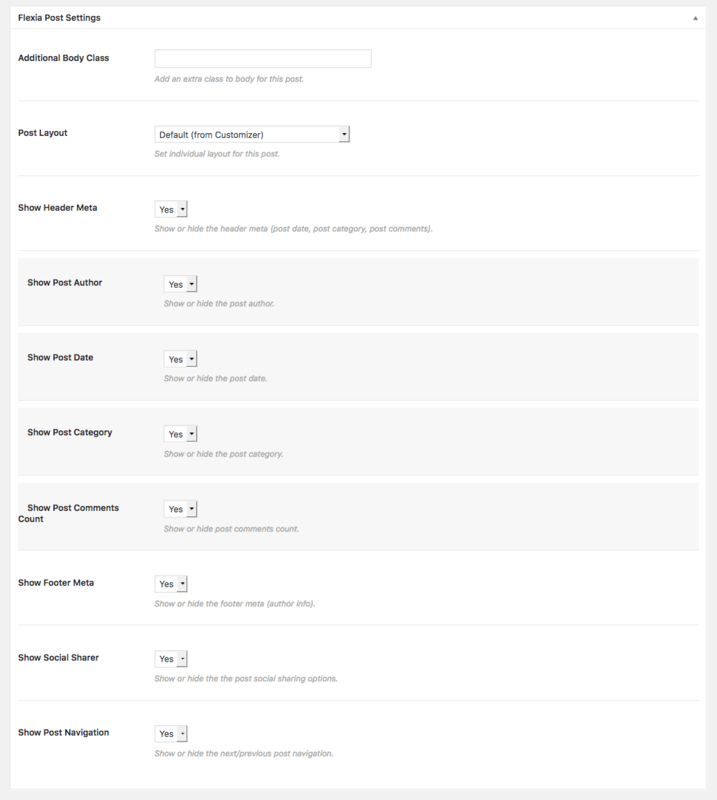 Post Settings enable you to take control over any specific post. It’s controlled by Flexia Core plugin, so make sure to install Flexia Core from Appearance > Install Plugins. Additional Body Classes : You can add additional body classes that will be added to document body (body tag). You can use the class to add page specific CSS. Post Layout : You can set different header layout for each post. Currently we have 3 styles and we’ll add more styles eventually. Others : You can enable or disable certain elements for the specific post. Go to your post and see how it looks. Note that you might see the screen a bit different as we are still improving this a lot and adding new features.